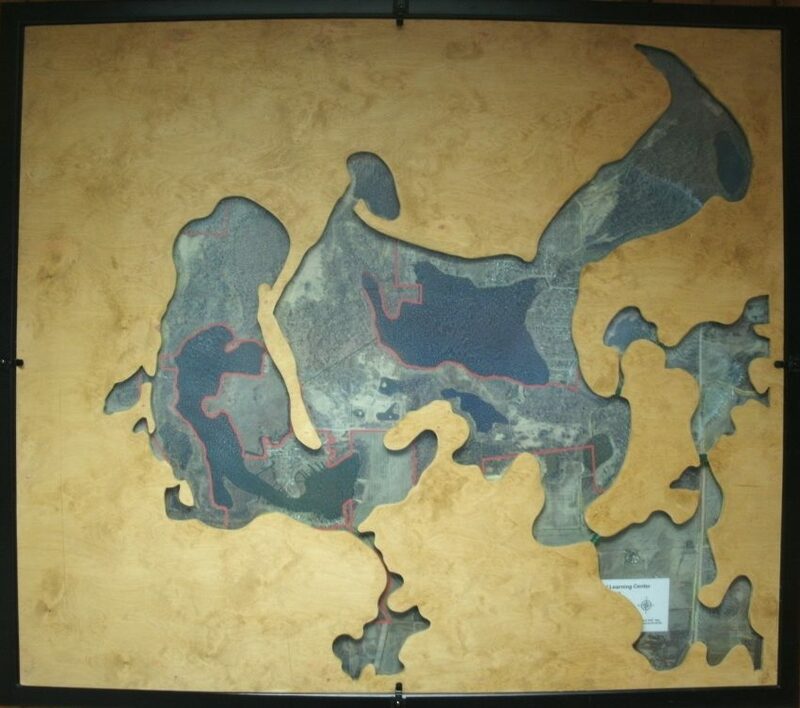 The light blue on this map of Merry Lea shows areas underwater before European settlement. The dark blue areas are currently underwater. All of the following projects represent sites that were historic pre-settlement wetlands. Likely they originated from the 800+ acre kettle lake that formed over much of Merry Lea after the glacier receded 10-15,000 years ago. (See map at right.) With post-1830’s European settlement all of these areas had been drained and in active agriculture as of 1938. None of the sites were in active agriculture, with many having been abandoned for decades due to failing drainage, economics or changes in land use objectives. See the links below to learn more.